““Cipolla-Pantaleo-Gentile” High School is a public school in Castelvetrano (in the province of Trapani, Sicily-Italy). It is a specialized school, teaching either classical or scientific studies to 1,100 students (aged 14-18). It actively promotes the sharing of knowledge across Europe through education which provides value to both students and teachers. As unemployment is widespread in the area, especially amongst young people, the school believes it is extremely important to develop student's knowledge, stregthen their entrepreneurial skills and allow them to become certified in their areas of interest. 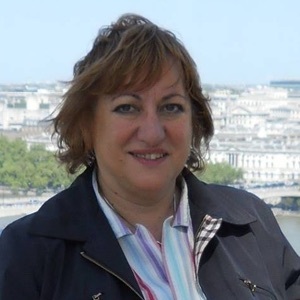 Mrs Anna Neri (the coordinator of IMPRINT+ project in Italy) has a degree in French and English Languages at the University of Messina and further studies as a translator and parliamentary interpreter at the University of Reggio Calabria (English-French). 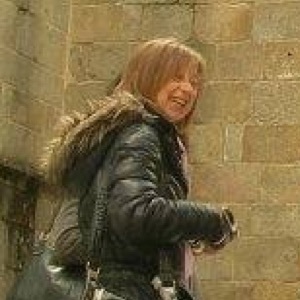 She has been working as a teacher of French and English since 1986. During this period, she has held some management posts: she has been Head of the English Department; a member of the Headmaster's staff; responsible of European projects; R.S.A. As regards European projects, she has been responsible of a Comenius project, "Don’t waste your future! ", (2011-1-RO1-COM06-14876-2) and a Leonardo da Vinci IVT project " Working Experience through Schools Transnationally". She has also taken part in other Comenius projects. At the moment she is carrying out (as a coordinator) two approved Erasmus Plus projects: Natural Spaces and Imprint Plus. She has followed a Comenius in-Service training in Scarborough (UK), "Effective Communication in a European Context" (2010-1-IT2-COMO2-10882), and she has also been chosen by LLP Programmme for a study visit, "Developing student entrepreneurship and employability" (2013-1-IT2-KA101- 56598), in Stoke-on-Trent(UK) at the Staffordshire University, thus acquiring great knowledge as regards the specific topic of the project (entrepreneurship and employability). She has been responsible for various linguistic stays in The United Kingdom and she has also been responsible of three Intercultura school exchanges with Doetinchem (Holland) and one with the Czech Republic . Tutorship in linguistic courses for B1-B2 certifications is a part of her daily job, too. Finally she has been recently awarded the Quality Label by the Italian National Agency for her eTwinning Project “Energyforlife”. Mrs Anna Maria Gucciardo holds a degree in Geological Sciences. She has been teaching Biology, Chemistry and Sciences for 31 years. During this period she has held different management posts. She has been responsible for Environmental Education and has taken part in a number of training courses organized by Legambiente covering issues such as the safeguard of natural environments, sustainability and the exploitation of natural resources. She also has an interest in paleoecology. The results of her research have been published by the Natural Sciences Association. Together with other colleagues, she organizes activities about various natural environments either in her region or in other national sites run by Legambiente or WWF. Recently she has organized some training courses for the students about the disposal and usage of “poseidonia”, in collaboration with Trapani University and Trapani Municipality. The title of the project is as follows: “Mèthodologie durable pour la rehabilitation et la valorisation du littoral cotier”. 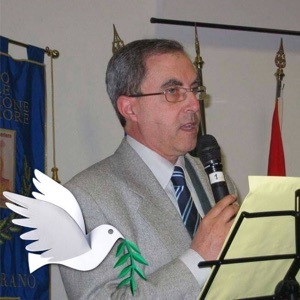 Mr Francesco Saverio Calcara holds a degree in Italian Literature, Latin, History and Philosophy. He has been teaching Italian and Latin for 38 years and has held various management posts. At the moment he is one of the Headmaster’s collaborators. He is interested in Art and is the author of several published books about Sicilian and Italian Monuments. He is an active component of the political scene and usually collaborates with the Mayor of Castelvetrano. Mrs Anna Sammartano holds a degree in Natural Sciences. 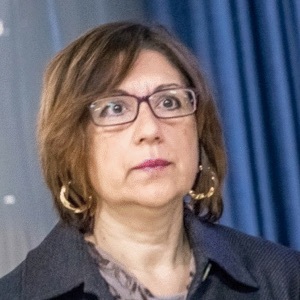 She has carried out a number of activities as a coordinator: “Le colture idroponiche” (Hydroponic growing); “Vivere il mare” (Living the sea),”Le reserve naturali nella provincia di Trapani”(Nature reserves in the province of Trapani); “Il mare e la pesca” (Sea and fishing); A number of High School contests; The Chemistry Olympics; DESS week: “Sviluppo sostenibile dalla terra al cibo” (Sustainable development from the earth to food).